First is a Miche Primato laced to a Mavic MA2. The wheel comes with a lockring but unfortunately one spoke is broken and there is no axle and only one of the two sealed bearings. 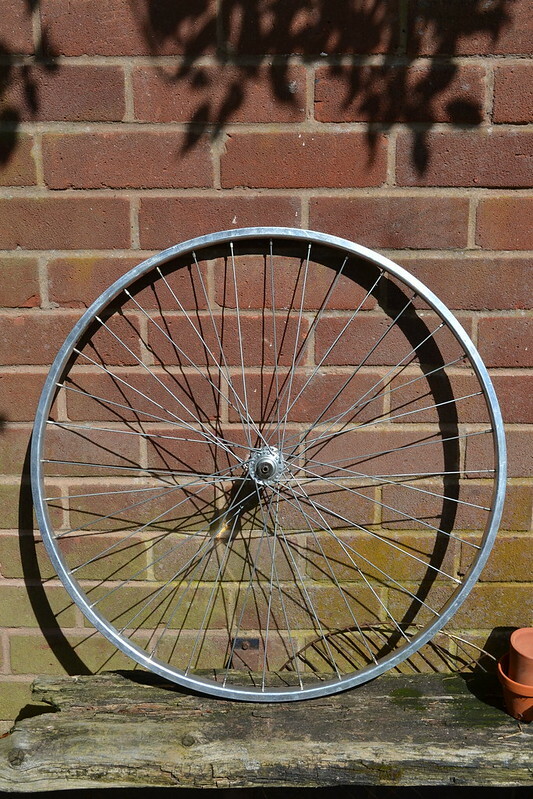 The wheel has been well used (there are some scores in the rim) but after a clean up and a new axle would be fine. £15 ono, collected from Kenilworth CV8 or i can potentially deliver to Coventry. 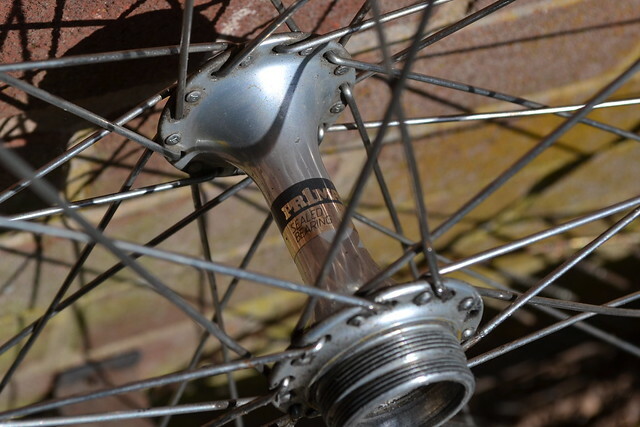 Next is a Shimano hub laced to an Alesa rim, this is in much better condition (the only marks on it are from sitting in my shed for a while), but the rim is fairly wide so would be more suited to a tourer/polo bike whatever. just had a proper browse of that site and realised that it probably won't be anywhere near as economical as i first thought. also not sure if i can be doing with the silly voltages that run through valve amps. has anyone on here had a go at building an amp from a kit? ive got little soldering experience but am becoming increasingly tempted by something like this..
Rychtarski* can take 25mm + guards yes; it has long drop calipers. It also fits me better somehow; is lighter and feels faster; with TFG I could ignore the weight and use it as a commuter the only minus point apart from weight is that its concentrated at the rear axle so feels even more sluggish. Ideally i'd just like 2 geared bikes; winter/commuter and Sunday best. I'll see what the fit outcome is next week but I don't mind spending a little (Given I am 10kg lighter than last year while working on core and flexibility) and get something like this in small (546mm stack 375mm reach) if its going to fit; dont mind spacers; in the words of morgan 'fit before form darling; FIT BEFORE FORM'. okay, thought it would be alright as i'm offering a discount but will take it down if that's the case. thanks for the kind offer dooks, but i'm based in manchester! cheers all, will give the logic samples a go. DCOs would be a blessing, they are still an analogue oscillator - the Junos for a example were DCO based and think of how commonly they are used. Also people seem to love the Dave Smith instruments Tempest and that uses DCOs. has anyone got any 808/909 samples or emulations they recommend? really fancy transistor revolution as it sounds brilliant but can't justify buying it at the moment. just looking for something that sounds like the original really.